Yesterday taking up on this: an attempt to formulate an Ode of Life, after a brief meeting at the academy in the morning, then while we had been waiting for Daniel and the West-Eastern Divan Orchestra, amidst the Salzburgian Schickeria. Or is it yesterday’s work on Phanresia – the beginning of the recording of volume 1, the continuation of writing volume 4? Or perhaps the mentioned snobbery – the need of living some reasonably real life in the persisting wrong wrong one …? 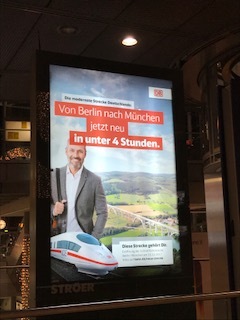 Friday I returned from Berlin to Munich – apparently I was going the new route [though still not the new speed] which is today opened with new trains and new time schedules this had been celebrated on the eighth in Berlin. From yesterday then: Berlin – Munich in less than four hours. New trains I assume, tightened rails I suppose, new schedules for sure, new staff may be …? Of course that shortening of the journey is a great disadvantage. On the other hand, there is no opportunity, no reason to look out of the window. The magic four: every four years elections; every four month amending laws; every four weeks a new diploma; every four days we may get a new job …, if we get one; every four hours we read entire libraries, summarised in some wiki. 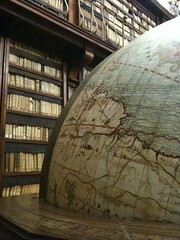 – May be think about some new expression: to wiki a book = put it into a easily digestible format that does not need long intellectual chewing. Al this is about even on earth even? Trains with heavenly speed as their is no reason to fly? Thoughts flying into the brain like roasted pigeons flying into the mouth in the land behind the gingerbread-wall of paradise … – Mind, the synonym is to veil a book. As mutes the synonym for the paradisal pigeon may just be fast-food. – No, I am afar from praising any good old times, times that never really existed anyway … I am leaning back, quite comfortably … – the …, well, once these people had been called rain conductor … walks along the corridor. ‘Coffee …? Anybody want a coffee ….? Looking at Keynes unwikied, didn’t he mean implicitly: of we only look at wikied policy measures – short and short-lived, we are not able to solve the underlying problems. And there are good reasons to look out of the window – or read entire books – before writing and boxing. Well, all this is surely also about skills and knowledge. Well, there is a difference between expresso and espresso. And ever trust anybody who promises to make a nice expresso, very quick. löst es auf wie Eis. — this time, after having returned to Europe — it is stated with an exclamation mark … : being [w]here again, means at the moment at least being in a place that causes exploding in the stir of feelings of extreme ‘alienation’, while not being sure about the cause[s]. It is about learning as ‘Foreigner in the own country – viewing from inside or asking: Are we serious at all? alienation when accessing the web: fast, unVPNdisturbed, free and uncensored and then getting aware of the very personalised notions, all defining the rhythm of the web-movement … — algorithms of another VeryPersonalisedNotions. the frantic moves of his companion had churned the milk into butter. Und Nacht ist jetzt schon bald! 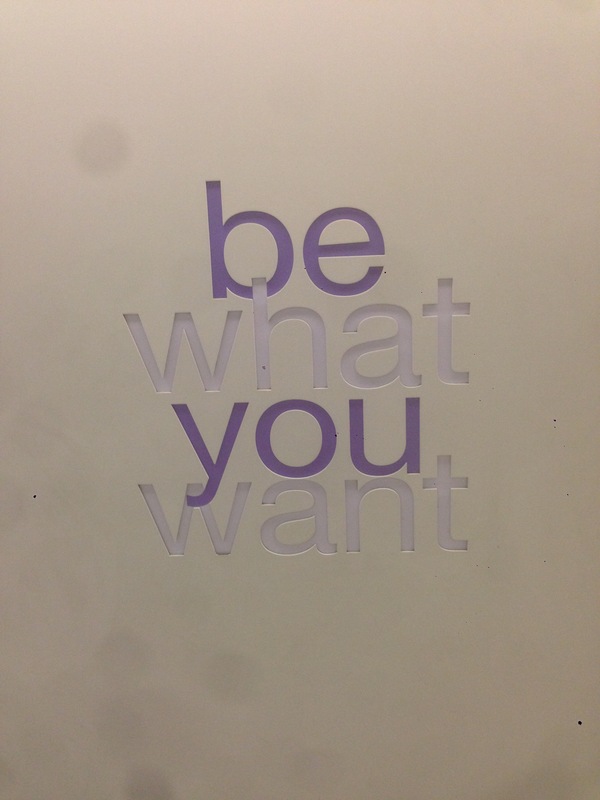 It seems then there is nothing we ACTUALLY ARE and overcoming alienation may really be a matter of ‘being what you want’ … and the Kiko Milano, the shop, advertising this way, is surely only one of many shops, designers, political forces, think tanks … that will tell us. What is new, what is different …? Isn’t all this locating us in both cases — the traditional and the contemporary society, and also in the old world and the new world — in the middle of The Lonely Crowd, allowing some variation, but not allowing escaping loneliness, leaving us in different ways alone with Man’s Search for Meaning. Locating us as alie-loners, though all of us akin to a similar underlying sentiment so that Frankl could indeed suggest that every era needs its own therapeutic paradigms. Love is the only way to grasp another human being in the innermost core of his personality. No one can become fully aware of the very essence of another human being unless he loves him. By his love he is enabled to see the essential traits and features in the beloved person; and even more, he sees that which is potential in him, which is not yet actualized but yet ought to be actualized. Furthermore, by his love, the loving person enables the beloved person to actualize these potentialities. By making him aware of what he can be and of what he should become, he makes these potentialities come true. The more limited and circumscribed the question, the more likely a definite and comprehensible answer, i.e., one that adds to, and fits into, a previously conceived system or model. In limited sciences, such as physics or chemistry, which are surrounded by boundaries, as it were, the multiplicity of frequently overlapping answers, collected in the course of centuries, has produced a broad area of understanding, though even here much is still obscure. But biology is limitless, and our experiments are only drops out of an ocean that changes its shape with every rolling wave. Because our questions must skirt our fundamental ignorance of the nature of life, the answers we receive can be no more than a travesty of truth; a truth, moreover, that may be so much of a plural that we can never comprehend it. The manner in which questions are asked, i.e., experiments designed, is either completely random or conditioned by our ideas of a preestablished harmony, a harmony that we seldom recognize as a contract with God that He has never signed. And it has as its very consequence either hyperactivity — the rat running in the wheel because it is running in the wheel because it is running in the wheel, and the only reason is …, running in the wheel, maintaining the movement, mistaking it for development. Nicht alle schmerzen sind heilbar, denn manche schleichen sich tiefer und tiefer ins Herz hinein, während Tage und Jahre verstreichen werden Sie Stein. not all pain is curable. Some is getting deeper and deeper under the skin, into the heart, and over the years they establish themselves as stone. Yes, I don’t buy into it. I just read it as general reflection, stepping across the religious part. And it means to face the paradox of reality, to accept the contradiction and tension that accepting the holistic character of the world does not mean to accept that there is one world only. Brecht: Good Person of Szechwan. Song of the eighth elephant. one can surely read this in different ways – and the debates during the recent days, driving academics on one of the mailing lists, of which I am subscriber, to the highest levels of irrationality, clearly show the ambiguities. Off to work then – the more or less regular Sunday morning meeting: about every second week we meet with a small group via internet-phone conference, connecting Australia, China, Ireland, Italy and South Africa. It is a small group, a small research, but at this stage a nice habit: catching up, on work related stuff and occasionally on other things (in this way the Monnet Method work for us: do business and become friends). I stay for a while in the bar – Internet, the nice atmosphere of Trastevere and …, well, still waiting for the answer – but that is another story. A youngish woman approaches me, holding a map in her hand, trying to cover my phone and the fountain pen next to the computer … . I only say something, … expressing …, well: a kind of sympathy. But Cavallo, sitting at the next table, supposedly academic – economist and giving out against a narrow understanding, and at tenish already emptying at least the second bottle of beer … – Bufallo shouts immediately and loudly. I am sitting there, feel somewhat paralysed – not because just having escaped the loss of some valuables, but because as I do not like the need to be protective, I do not feel the right which I have: owning something. – Rights, justice …, I wrote more or less a lot on the topic. Isn’t that protection somewhat a war, imposed on us? However, this formulation gives the impression that such mode of living is solely or at least predominantly based on a hegemonic strategy, aiming on establishing a specific lifestyle. Such claim towards life determination is surely an important aspect. However, the present thesis is that we find again a two-layered pattern, the mode of living being based in a life regime which provides a foundation, inherently based in the accumulation regime. Of course, in some way this is also a political question, a question of hegemony – today a statement as “it is the rich who should be ashamed, not the poor” may not even be made in serious terms, i.e. in terms that question the economic dimension of the problem. The mechanism is actually very simple: Those “rich” people are not simply rich in terms of affluence but also in terms of the determination of what is necessary, i.e. the inherent link established by what had been outlined earlier by quoting Erika K. Gubrium and Ivar Lødemel, namely “that having a job is not just a matter of economic security. In a social sense, it is a primary arena for attaining the dignity associated with social normalisation”. This is the firm mechanism, welding accumulation, regulation, life and living together. This scene in Trastevere makes unmistakably clear what this means …. – the closure of the social: individualism …, but also the mutual protection of the haves against the have-nots. No, don’t get me wrong: I am grateful in some way: Bufallo saved my property, “saved me”. But I still would like even more to hear the same outcry against those who permanently steal the property of those who then themselves feel or are forced to steel. Some more lines from the recent days come to my mind – this time from a mail exchange: Somebody expressed his hope that I would be OK, not effected by the Russian-Ukrainian air battle, conducted on the cost of civilians. Regarding the plane disaster: all fine so far, thank you. Having said this: in some way we are all effected, aren’t we? You are absolutely! If one room leaks, the house is at risk. This Israel-Gaza conflict is worrisome!!!! Well, not believer …, so failing here again. Talking about ships ..: if you see how immigration is tackled by the EU, people stranding here, if they are lucky ending up on the shores of Italy …, lucky enough to be mistreated and abused here (in Europe) … – or is it that those who drown are more lucky? Well, back to reality, it is early, a Sunday and I finally drive up the hill and do what I postponed for so many times: a visit in the park that hosts the Villa Doria Pamphilj. It is some version of the Borghese park, though less crowded. … and I finally go for a small walk: the villa xyz is standing there as massive block: power of admirable beauty, of wealth and of still palpable political power. and this is what I feel just that moment, walking, seeing the people enjoying their promenade, their chatting, the kids playing well behaved … and crying when falling off the bike, immediately being rescued by the father (yes, it is Sunday and then fathers can join the rescue team) or mother. A city of contrasts, indeed – and a city of some astonishing stability – not indicated by the amount of signs of ancient times but by the anxiety, widespread by the visibility of invisible power, the clear lines that divide the city – I have to check if and if so, for how long Antonio Gramsci lived here, in a climate that surely provoked theorising hegemony. … I really know this place from 吕思xyz’s and 陈旭xyz’s visit – when they came to Rome we met in the park and stayed or a while. And actually I had been happy when Birgit said one day we could go there – the secret project of the comparative study on ice cream. Prendo il gelato con me – join the people in the Piazza Vittorio Emanuele II – history here too, tradition: the young girls and boys from Bolivian, China … Venezuela proudly showing off: one dancing dress is more colorful than the other, they are dancing, laughing, fool around … and are crying … in order to get up again before papà (yes, it is Sunday and then fathers can join the rescue team) or mamma arrive. … Siamo tutte e tutti palestinesi … – we are all foreigners in occupied lands, working on soil we do not own, although we may possess it. – somebody covering it with a map, giving us mobile phones but taking our voices from us …. Actually the English language makes it difficult to express it: ownership is here understood as legal deed, commonly attested by a notary. Possession, on the other hand, is understood as (f)actual control over something. And of course, we see again, the tricks language plays as the English language, indeed, proposes both as synonyms; and indeed (sic!) jurisprudence frequently refers to “established law”, i.e. a right derived from custom … – To make things even more interesting, there is at first sight no clear distinction between common and customary law, something that is even carried over into positive law that always suggests that judgments are made “in the name of the people”.